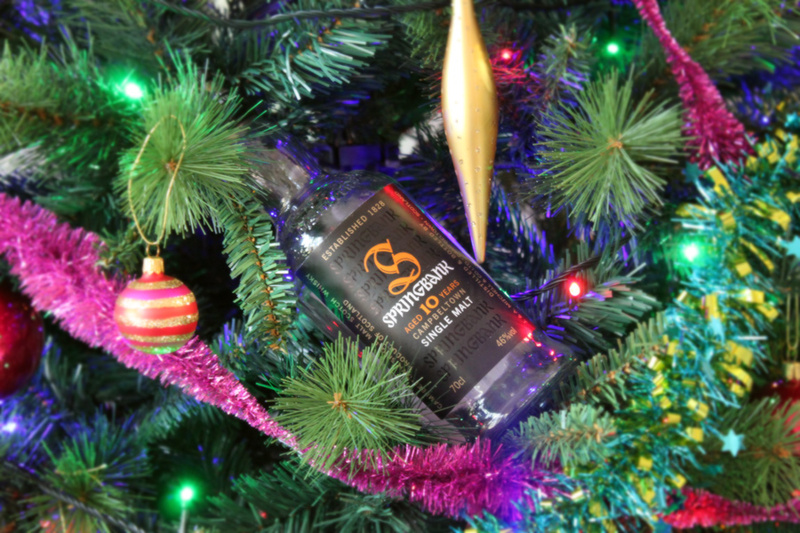 ‘Twas a night during Dramcember when all through the house, not a creature was stirring except El Capitan and his recently acquired bottle of Springbank 10yo. The bottle was purchased as a gift from another DTWC member. Having never bought a bottle of lowland whisky myself, my appetite was roused at this tasting prospect. A quick look at some of the more well-known list of distillers from Lowlands and it’s interesting to note that we haven’t seen any of these whiskies at DTWC club meets. According to Master of Malt ‘The Lowlands produces gentle, light whiskies, often very dry and devoid of peat'. Nose: Cheese and Nut platter – Its rather unique, something I haven’t picked up previously. Lots of vanilla and sherry. But yes, a very light fragrance. Taste: Chewy enough but not harsh. I get a lot of grains, quite wheaty or rye like. Not a great deal of complexity in this. It’s a straight forward whisky that is quite drinkable. No peat or smokiness. Intense enough flavour with certain crispness in the mouth. Finish: Long. Still lingers in the mouth well after drinking. The whisky can be drunk over a long period of time. Because of this I’ve got into the habit of watching TV of an evening with a dram next to me the entire night. Unfortunately the bottle now is empty. I struggled initially to come to terms with this whisky, but as the bottle depleted I found myself drawn back time and again. Special thanks to The Diplomat for providing this one. I’ll happily rate it 5 out of 7 lightning bolts. In fact I’m now eagerly awaiting the delivery of a Springbank 15 which seems to receive a significant number of good reviews. Should it arrive before XMAS then St Nic will certainly have looked after me this year for sure. Merry XMAS one and all at the DTWC. Look forward to the first meet of 2013. It’s a time to remember! Not a choice but a duty!